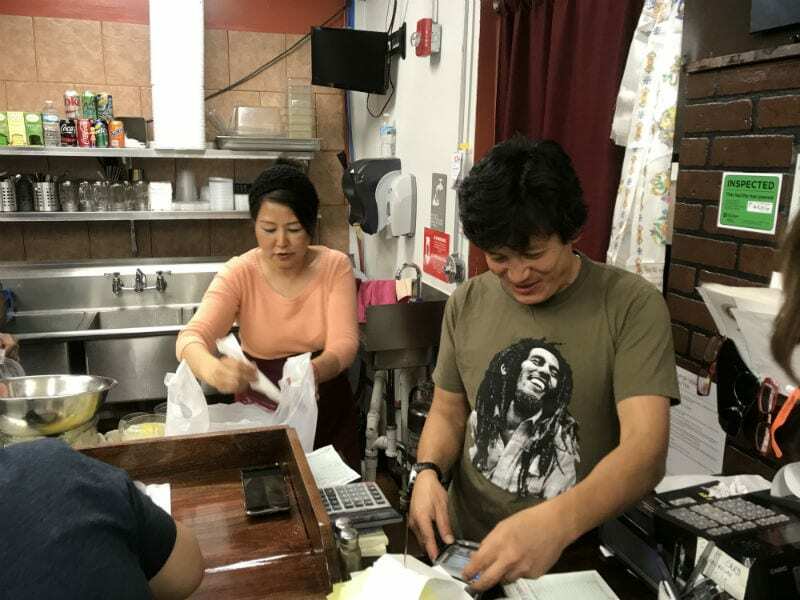 Tucked inside Saraga, an international grocery store on Morse road, is a tiny Nepalese restaurant with a big following. 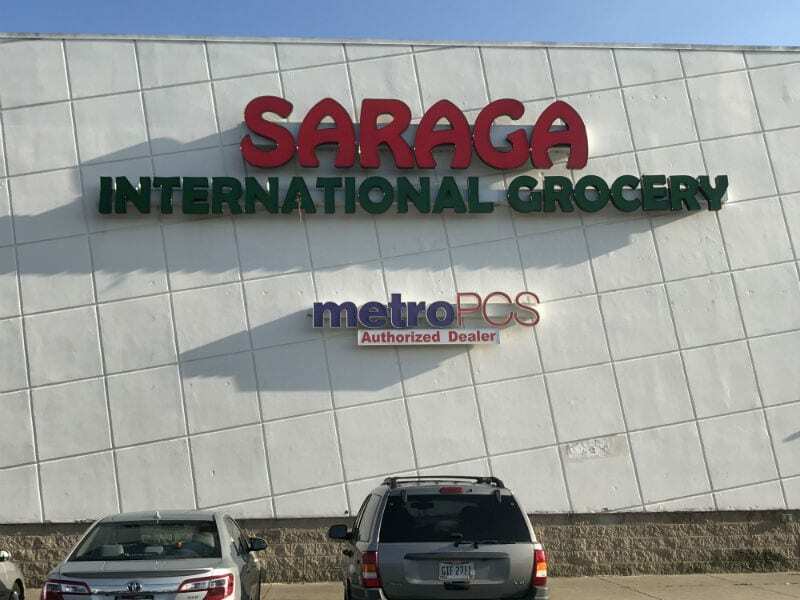 The Saraga has many hidden treasures, from an authentic Mexican restaurant to its exotic butchers and fishmongers. By far, though, the crown jewel of these hidden gems is Momo Ghar. 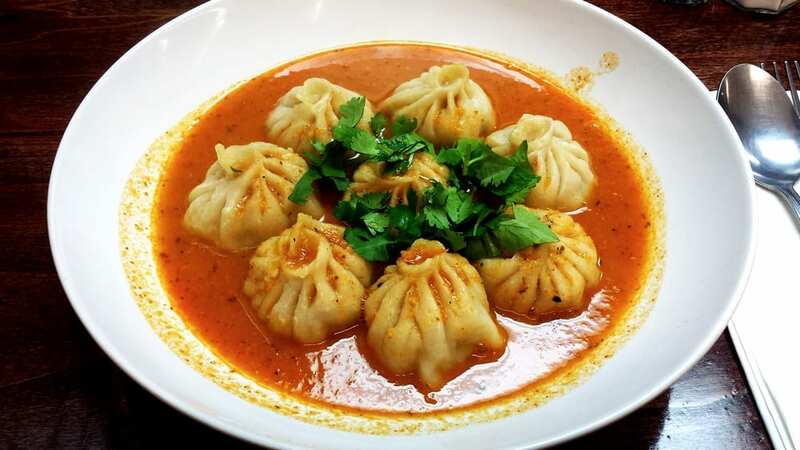 Specializing in Tibetan and Nepalese food, the small eatery has garnered quite the following. 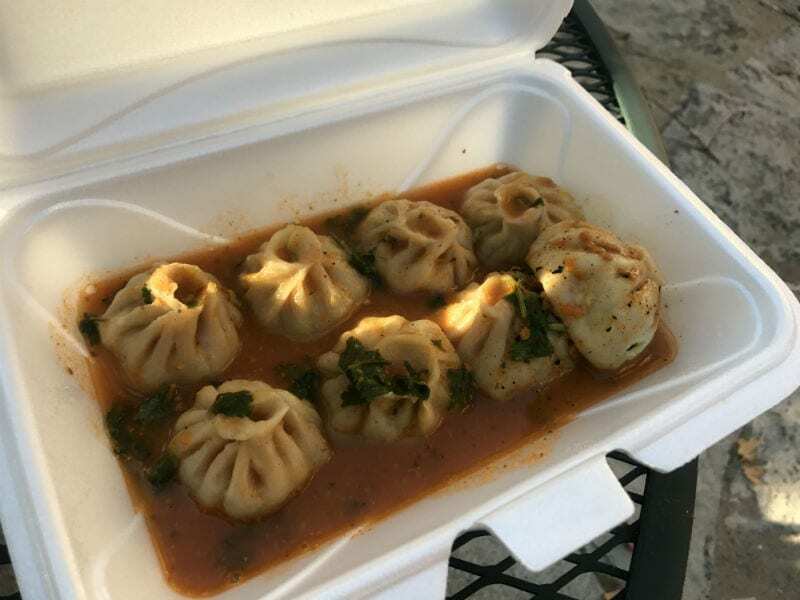 Anyone who has ever tried Momo Ghar gets a little teary eyed when you ask them about it so, of course, I had to try it for myself. 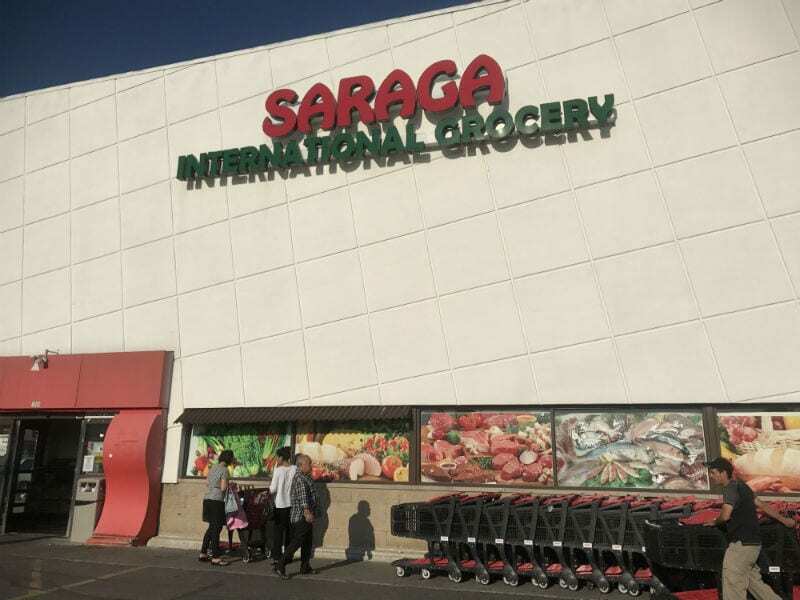 The place was packed when I went in, a line of people had formed at the cash register and was spilling into the aisle ways of the grocery store. People eyed each other defensively, cautious not to let anyone skip their place in line. I wondered, not for the first time in my life, what could make people so mistrusting of their fellow man, so shallow hearted. And then I smelled a plate of food as it walked by. After I caught a glimpse and a sniff I was completely on board. This was every man for himself, any altruistic idealism had flown straight out the window. 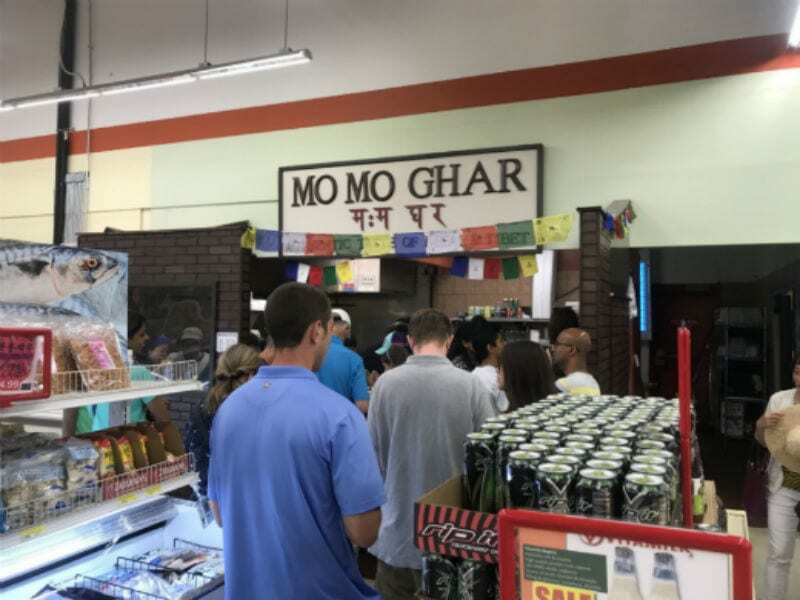 I’ve never seen The Purge or any of its obviously horrendous sequels but from what I know of the plot it’s basically like a slightly milder version of waiting in line for Momo Ghar. 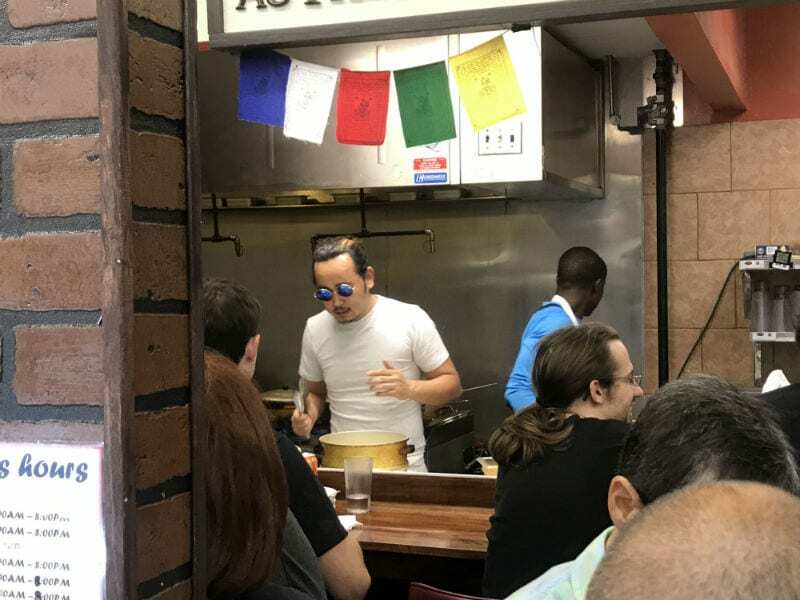 Despite the boiling anarchy right outside the little restaurant front, the staff and proprietors were very well at ease. Their serenity was at complete odds with the clientele. They smiled kindly and navigated the crowd with menus and condiments while everyone else glared at each other h’angrily. I’m not too proud to admit this but the impatient horde of people started to rub off on me. More than a few of us began to eye our surroundings, gauging whether or not any nearby implements could be used as effective weaponry. I may have grabbed a few glass bottles of soymilk and held them guardedly in front of my chest. Everyone was operating on sheer instinct. Eventually, I was able to place a to-go order and a few minutes later it was up and ready. I held the warm bag close to my body, whispering “my precious” in a guttural murmur as I gently stroked the packaging. I know what you’re thinking Columbus. That this all sounds ridiculous and that no food can ever make a grown adult behave like Smeagol. One: You’re wrong. And two: Try these friggin’ dumplings and then say that. They do not disappoint. 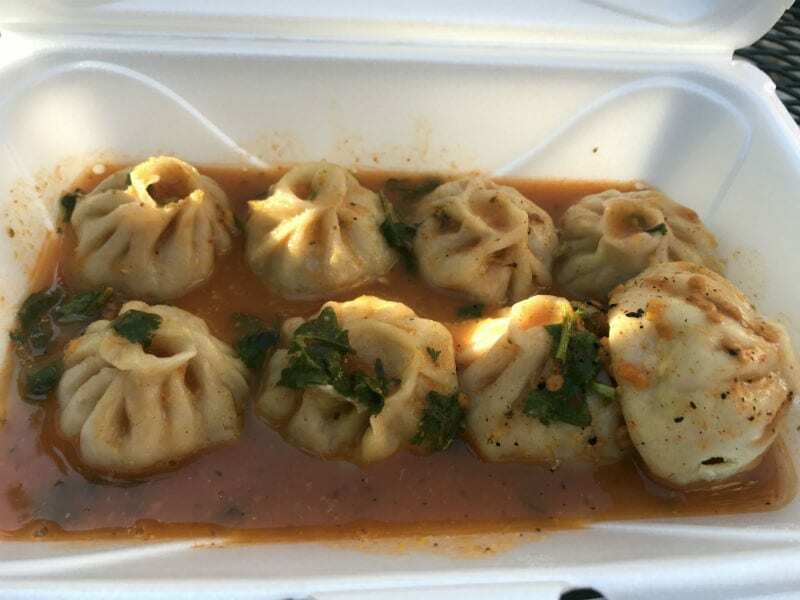 Momos are basically steamed dumplings stuffed with an assortment of meats and veggies. I tried the chicken as well as the stuffed mashed potatoes which were vegan-friendly. 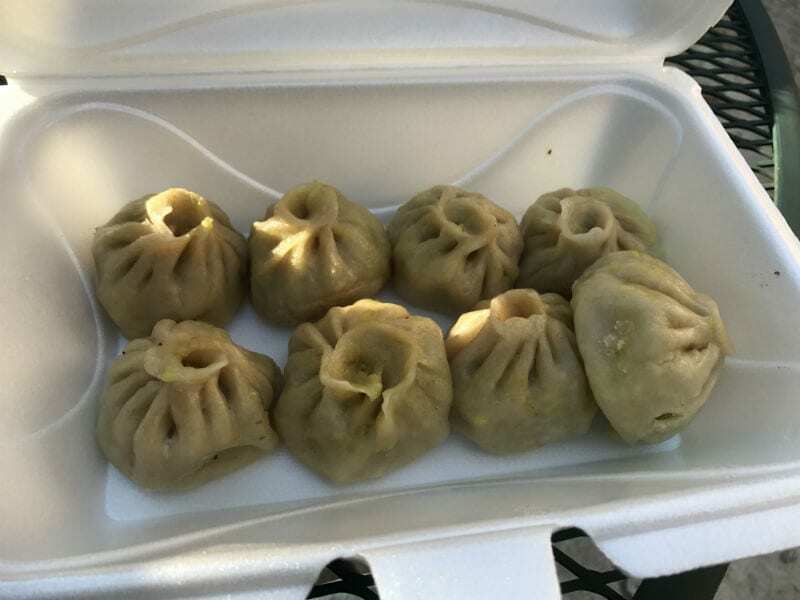 The momos were piping hot and super soft, with the stuffings a pleasant mushy, pulpy, texture. 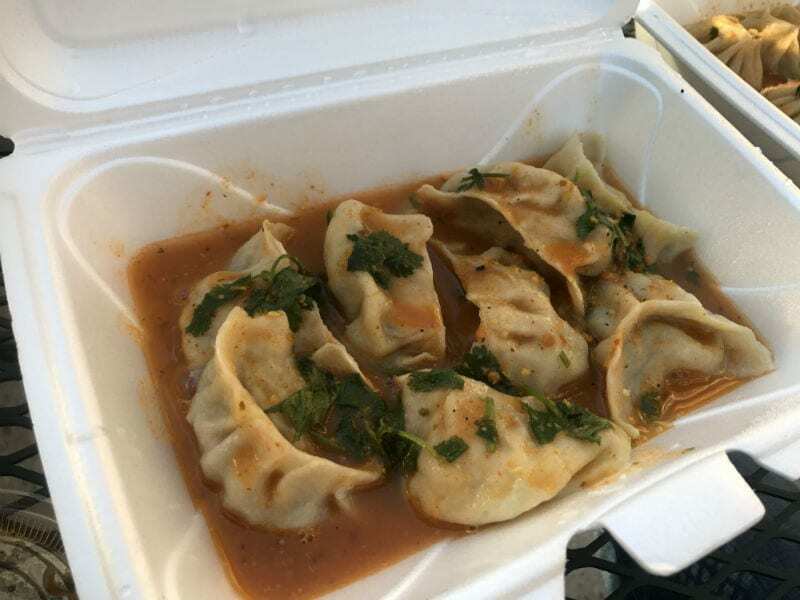 The homemade sauce that comes with it was amazing, a spicy broth that the dumplings marinate and seep in. 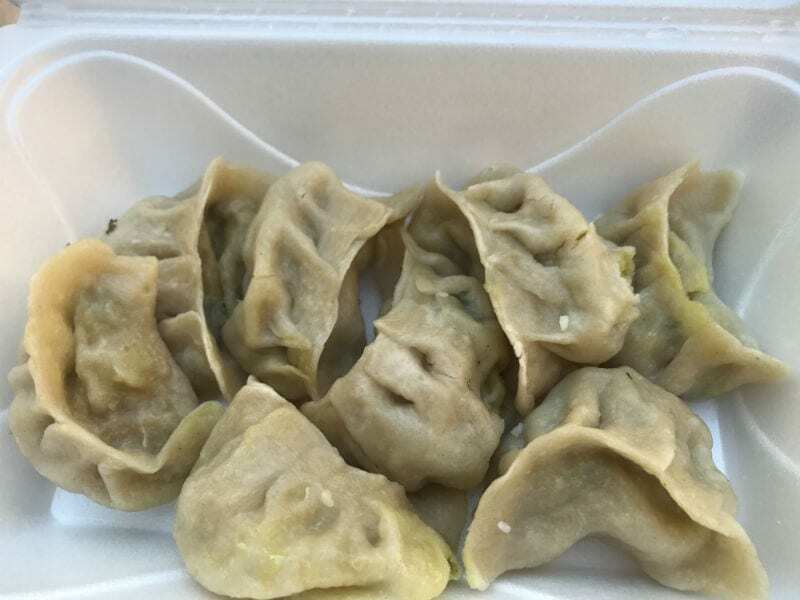 I couldn’t stop shoveling down momo after peppery momo. The broth was pungent, eventually creating a layer of perspiration on my forehead. But I fought forward, the spiciness kept stacking and building heat but I couldn’t stop myself. I was completely under the thrall of the little guys. I’m pretty pumped to go back and try more items off of the menu. The food was great and the customer service was just as amazing. 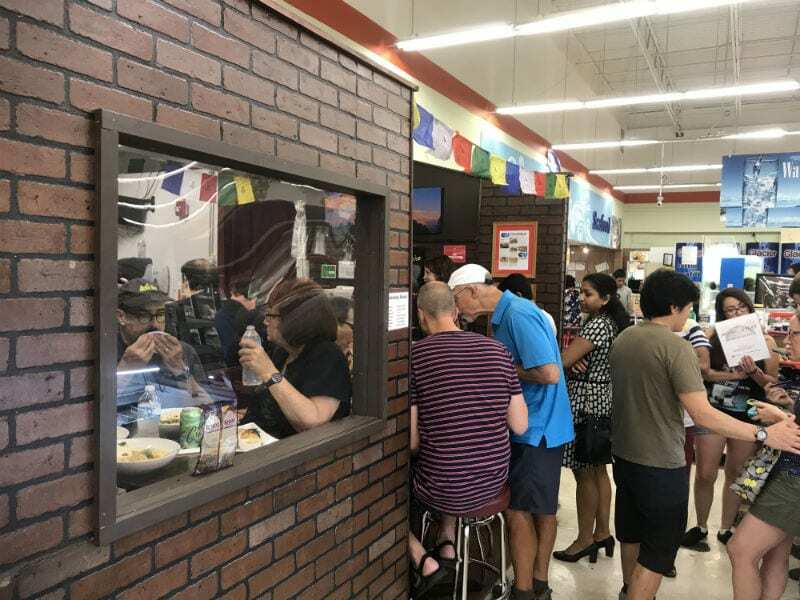 Wait times were a little long and there was no space left to sit and eat but that’s a problem that should be fixed with their move to the North Market this coming September. 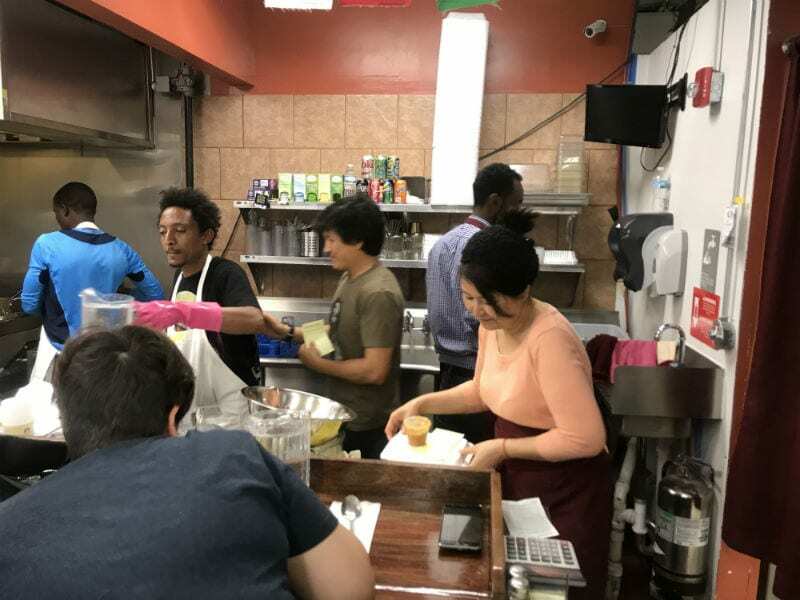 Momo Ghar is open 11 a.m. to 8 p.m. daily except when they’re closed Wednesdays. Visit them on Facebook and follow their move to the North Market.